Yes. Install porcelain tiles over top of an existing wood deck structure with our patented galvanized steel plank. Porcelain tile is probably the best option where temperatures may drop to below zero. This is because they are made to be frost proof and are impervious to water penetration. Advantages over other low maintenance decking? The TILEDECK™ plank system is screwed on to your existing wood joists. It is designed to withstand the weather for over 20 years. TILEDECK™ improves the life span of your existing wood structure. It fully covers the wood joist structure, protecting it from the weather. You can purchase outdoor porcelain tile from big box stores in a variety of distinctive looks at affordable prices. TILEDECK™ also supports stone or concrete pavers (assuming the footings are adequate). The system is easy to install with no special tools required. Each piece is 48 inches long and weighs 6 lbs. The panel spans over your existing joists, and can be adjusted on site for decks that are out of square or not perfectly aligned – more forgiving. How is the porcelain tile applied to the deck? Glue porcelain tiles to the steel deck-pan using beads of polyurethane adhesive. We recommend an exterior grade adhesive that cures flexible – such as PL Premium or Miracle Lumber Lock. DO NOT fully butter the tile with glue or use mortar. Why not? This increases the cost of installation. Its harder to replace a tile should one break. Any water that may penetrate through the grout or polymeric sand has no where to go, and may/will cause de-lamination. How are the joints filled? Fill the joints with a modified grout, or we recommend a polymeric sand specially formulated for porcelain tile, such as Alliance Gator Tilesand. What is the lifespan of a TILEDECK™? Porcelain tiles normally last from 20-80 years, depending on the quality and hardness rating of the tile. This is mainly due to its higher density/hardness which protects it from the elements better than natural stone. Unique to the TILEDECK plank, the wood structure underneath is more fully protected from the weather elements. Weather protected wood structures can last over 20 years. 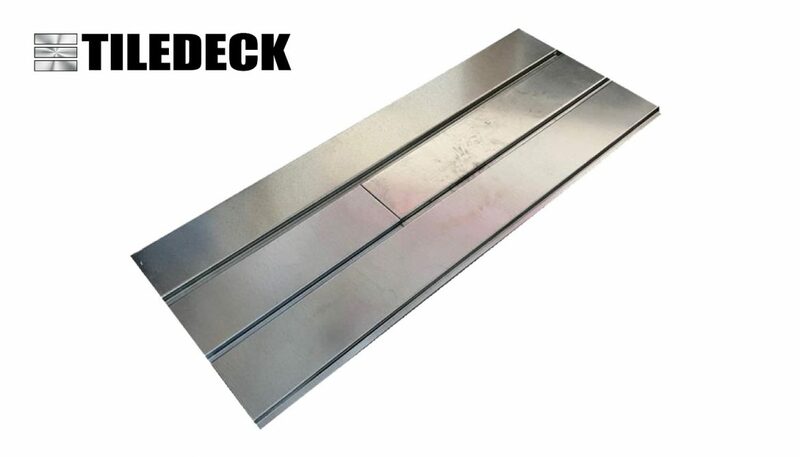 How does TILEDECK™compare in cost with low maintenance decking? 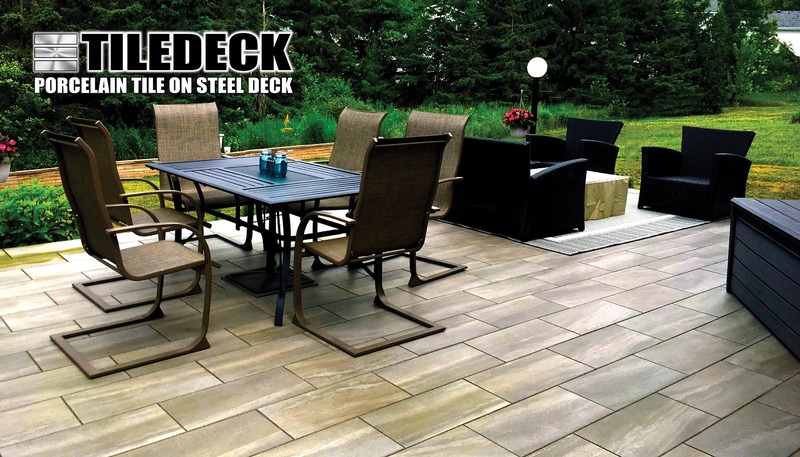 TILEDECK is priced to compete (within 15%) with composite decking on an installed basis using a standard porcelain tile. Tile installation costs should be lower than traditional tile setting, since there is less work. INTERESTED IN LEARNING MORE? Sign up for our newsletter, or send us a concept drawing of your project. Click to download our specification TD50S600-54. Click to download our TILEDECK Brochure.